This is another card made with the Silhouette and Silhouette Cut Files from their website. I just love the crisp edges and cuts you get with the Silhouette. Look at the bird legs... my Cricut would have never cut those. 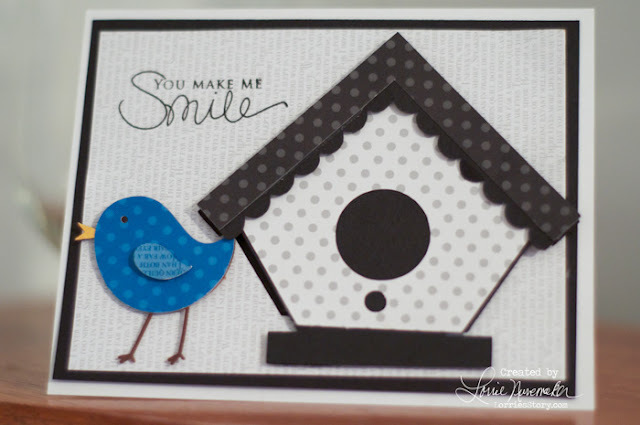 The papers I used are designer papers from Stampin Up.